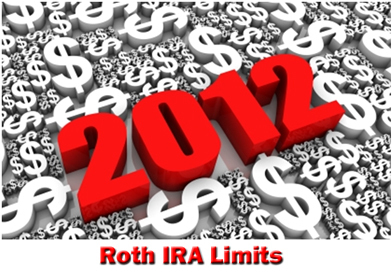 What are the 2012 Roth IRA limits imposed by the IRS? Do you have to meet age or income requirements? And what if you want to make a conversion? What are the rules? Are there income limits? Before you make a Roth IRA contribution (or conversion or rollover), you need to know the restrictions for the current tax year. Below are a number of factors to keep in mind. From 2011 to 2012, the allowable income limits for making a Roth IRA contribution changed for each tax filing status. If your earned income is somewhere between $173,000 and $183,000, your 2012 maximum contribution limit phases out. If your earned income is somewhere between $110,000 and $125,000, your 2012 maximum contribution limit phases out. While the IRS theoretically limits your ability to make a Roth IRA contribution based on your taxable income, anyone can fund a Roth IRA in 2012. Because in January 2010, Congress abolished the $100,000 adjustable gross income (AGI) limit on Roth IRA conversions. This means anyone, regardless of income, can convert to a Roth IRA. And since anyone, regardless of income, can make non-deductible contributions to a Traditional IRA - this enables anyone to max out contributions to their Traditional IRA and then convert to a Roth IRA. This effectively eliminates the Roth IRA contribution income limits for 2012 and all future years. From 2011 to 2012, the maximum contribution limits for a Roth IRA did not change. However, keep in mind that these amounts fluctuate according to your personal level of adjustable gross income (AGI). If your income surpasses the established IRS threshold, your max contribution amount phases out. 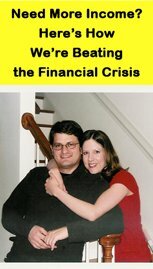 Due to the January 2010 elimination of the $100,000 income limit for making a Roth contribution, the phase out rules aren't as important to know as they once were. However, each individual's financial situation is different, and you may find that the phase out rules still apply to you. If this is the case, your contribution limit will phase out on a proportional percentage basis depending on where your income falls within the IRS range designated for your tax filing status. As previously stated, in January 2010 the $100,000 income limit for Roth IRA conversions disappeared. As a result, anyone can convert to a Roth IRA in 2012, regardless of income. However, keep in mind that most conversions will trigger a tax liability, so it's best to consult a good accountant or tax attorney before moving forward with a conversion. From 2011 to 2012, the Roth IRA rollover rules didn't change much. It's important to know each of these rules when performing a Roth IRA rollover, so make sure to consult a competent accountant or tax attorney before moving forward with a rollover. However, you don't have to worry about any 2012 Roth IRA limits regarding your age. You can open and fund a Roth IRA regardless of your age, as long as you generate taxable compensation for the tax year. Of course, you can't contribute more to your Roth IRA than you earn, and Roth IRA limits on the amount of income you can earn and still contribute effectively places an income cap on Roth IRA contributions. As you approach those income limits, your maximum Roth IRA contribution limit gradually phases out to zero. So it's important to know what the 2012 Roth IRA limits are and how they effect your ability to contribute.